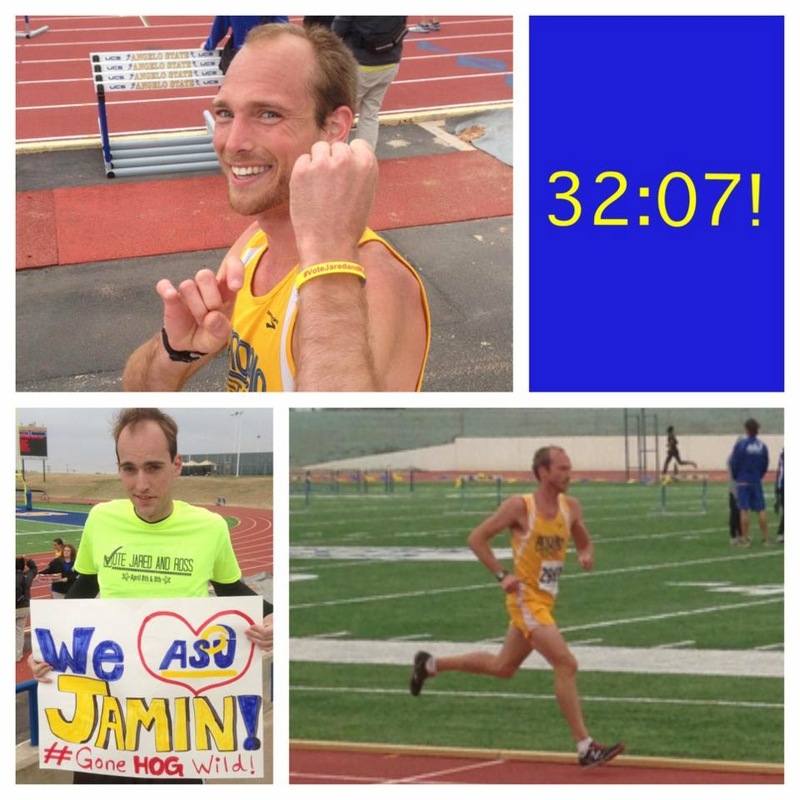 Courageous Joy: Jamin Breaks the Record! Look who did it! 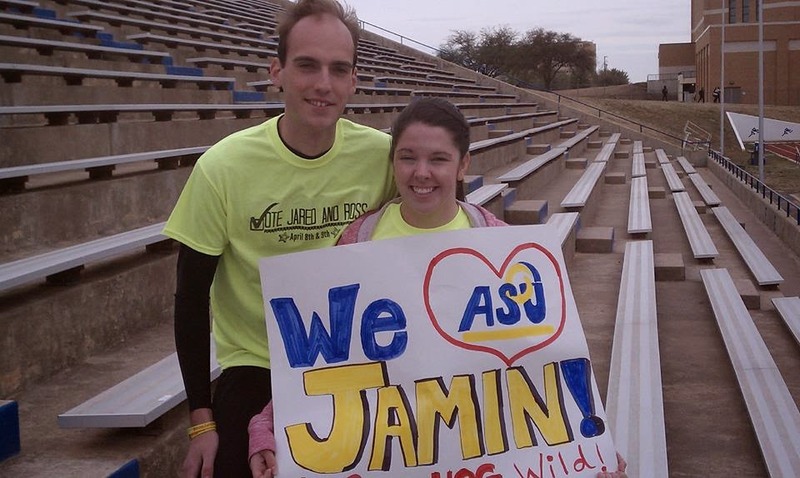 He broke the ASU 10K men's record on Saturday....in 30 mph wind.....with a pulled muscle. We are so happy for Jamin. He's worked hard to do this. 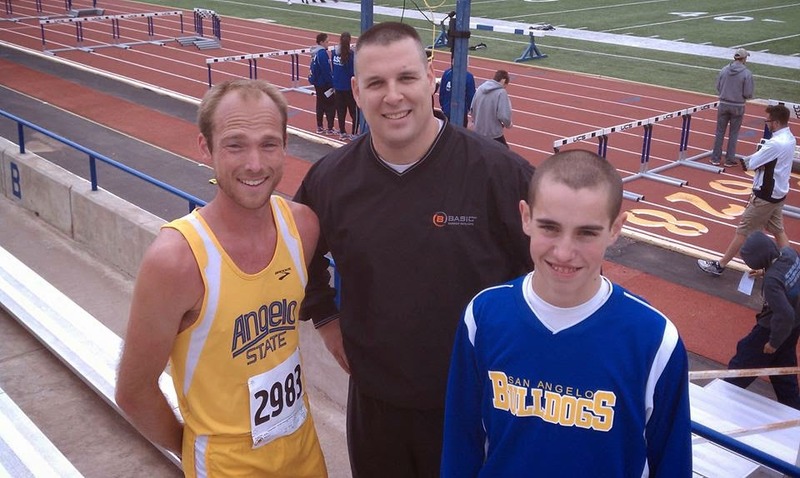 I believe he'll be running one more 10K this track season - he may break it again! The yellow band Jamin's wearing is a "Vote Jared and Ross" band. It was great fun to have friends at the meet and Larissa sending photos as it happened! Here are a couple of photos from Doug! Thanks for all the free coaching/mentoring you've given Jamin over the years! Do you like Jared's t-shirt below? ASU Student Government Elections are over. There is a hold up on the results - they are told they'll have them by 15 April. We continue for God's very best in the situation. In any event, these two smiles make my evening. I don't fully understand Cross Country and Track. I know that he broke this record during the Cross Country season but it was important to break it during Track on the TRACK....so there you have it. awesome post. Jared looks so happy and Larissa (is that right) is a doll. l/p - mom t.
Sure wish dad/I could see Jamin run once....... he looks so great as he runs. love/prayers mom t.